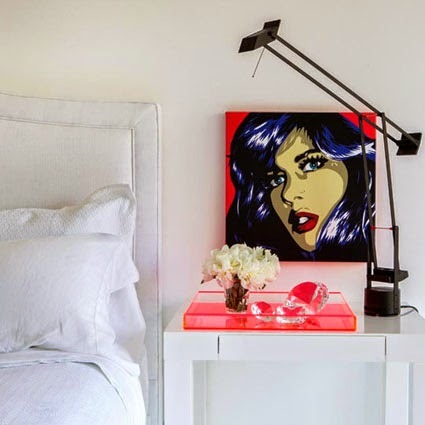 How many different styles of lighting fixtures can you think of for your bedhead? Many may be, but have a look at the examples below, you might still find soething very different and appealing. A new idea to catch! Copper details here and there go great with the copper wire case that is mounted on the wall, which is connected to the copper lighting. The marble nightstand is also a great design, the idea of keeping the magazines with a belt shall also be taken into consideration! Repetition of small black paintings. 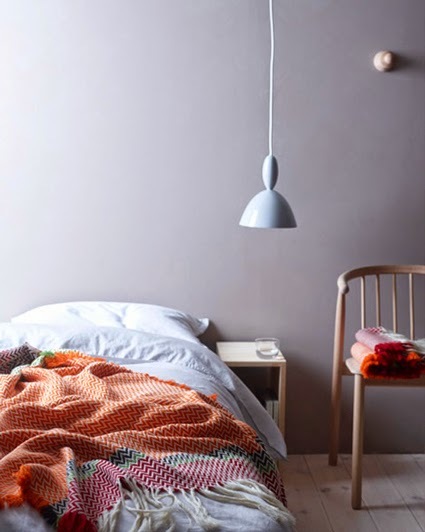 The single lamp extending towards the side of the bed. 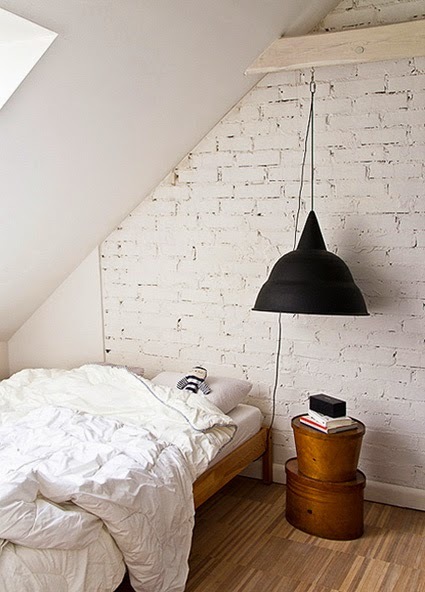 May be not so practical to read a book but still a very chic solution to the lighting of the bedroom. One lamp on the side of the bed again. So relaxed, simple yet so lovely. 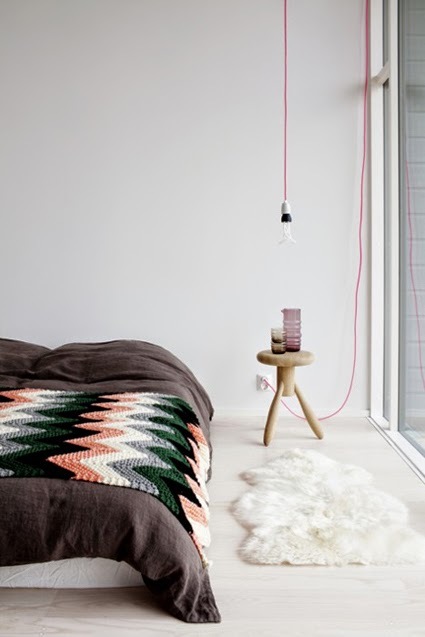 Having the colored accents in small accessories is a good idea. 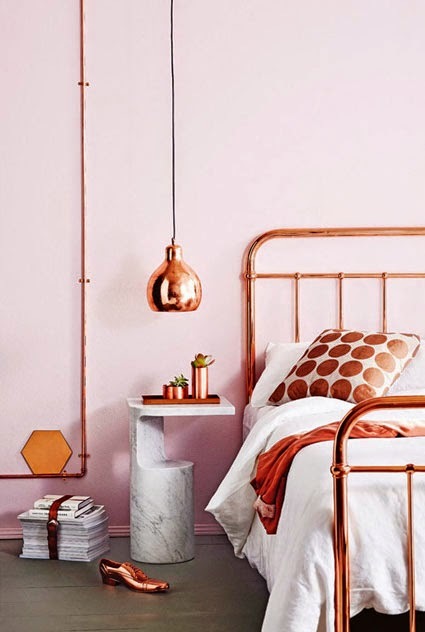 When you are bored, you can simply change the accessories and the objects and create a totally different aura over the basic white color you have in the room. 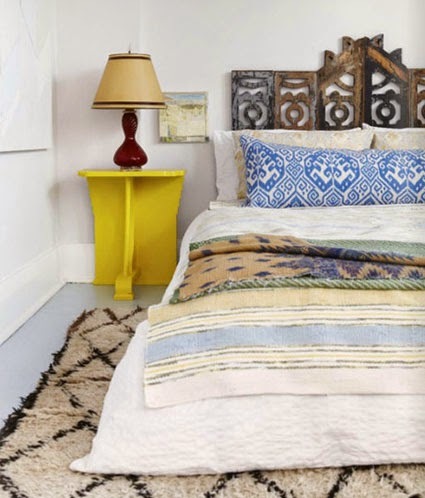 Rustic and may be a bit more classical style of a bedroom. You can feel that people have lived in this place, even from the photograph! 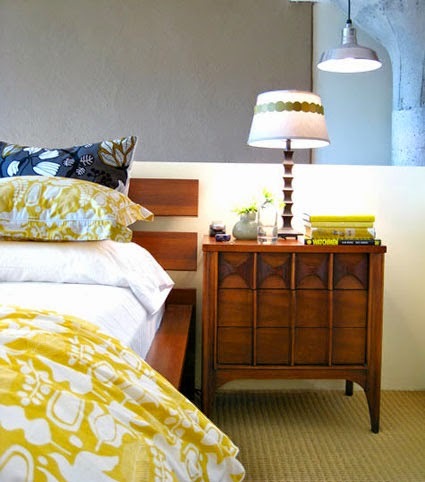 The yellow nightstand pops out in the whole area, with the dominant color and a more simple shape than the surrounding. So does the lamp on top of it! Combining styles and functions. Rustic with the wooden furniture to modern with the plexiglass seat. 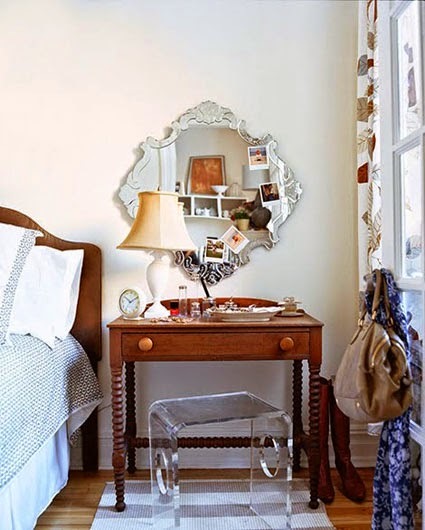 Nightstand to vanity desk... Useful and cool! The wallpaper in this bedroom is quite interesting. 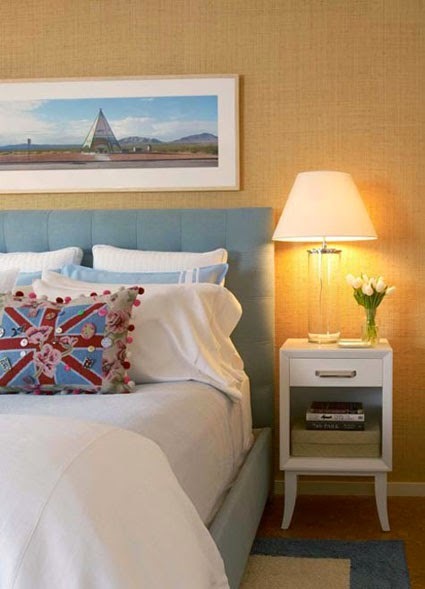 And the table lamp has this see-tru body, which enhances the texture at the back of it. Less materials, less colors... Combined with a vast lamp! 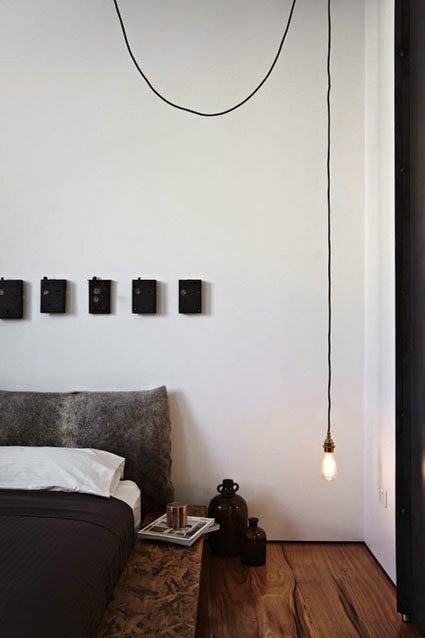 Even by only changing the chord of the lamp, you can add quite much of a design into your space!